Woven wraps are great for wrapping multiple babies because they are so versatile and offer so much possibility, and so much customization. 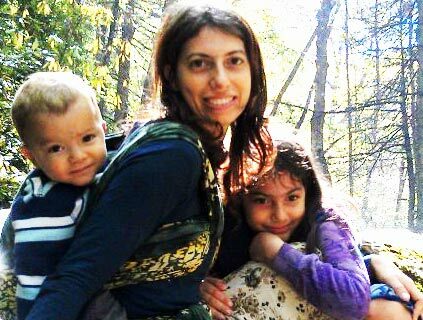 Keep in mind that US regulations require baby carriers to be tested and that testing does not cover multiple children. 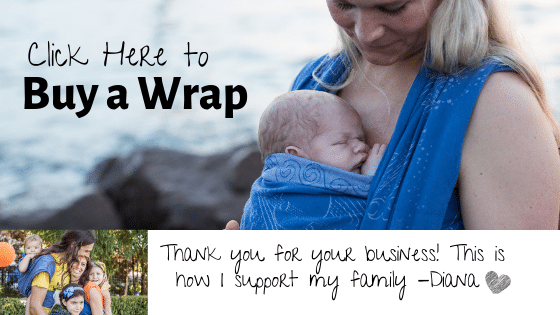 However, I contend that with no weight bearing seams, and no plastic buckles or other parts that can give way, woven wraps are the safest kind of carrier to use for improvisation or any babywearing. Learn to wrap competently with one baby before attempting to wrap two. Familiarize yourself with safe newborn positioning so that you can ensure both your babies maintain safe positioning in your wrap. Wrap snugly so babies cannot turn, sink, or slouch into a dangerous position. Sling rings are often used with tandem carries – use quality rings and watch for wear in your wraps. Ensure there is no one spot that is continuously bearing undue weight in your wrap, including spots where one wrap may be threaded through another. Keep an eye on the fabric you wrap with to ensure that it is in good condition. When they are teeny, tiny, they may like to be wrapped up together in a single front carry. You can do a Front Wrap Cross Carry, Front Cross Carry, or Pocket Wrap Cross Carry (as in the video below) and tuck one babe under each cross. 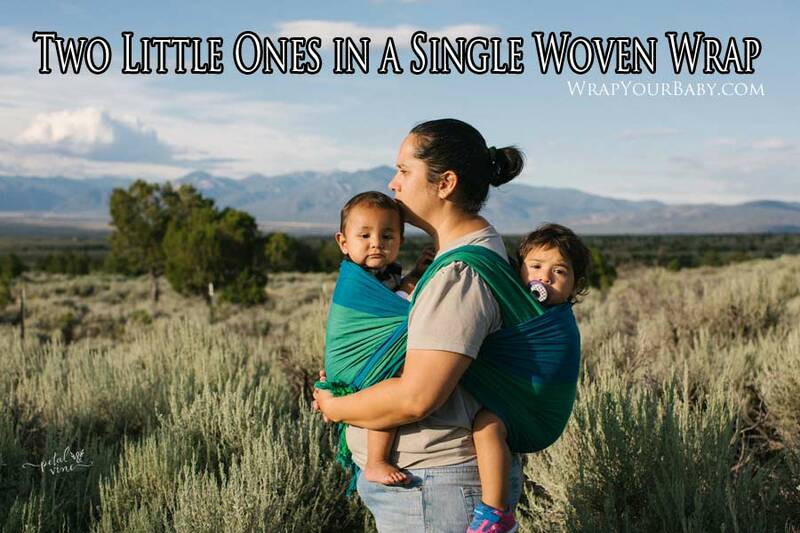 Wearing one on the front and one on the back in one long woven wrap as demonstrated here by LaKeta of TandemTrouble and her twins (do not try this with a stretchy wrap such as the Moby). 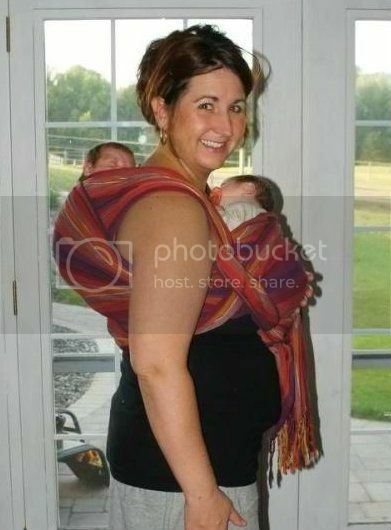 Once babies have head control and are sitting up, a tandem hip carry in a single wrap is an option. 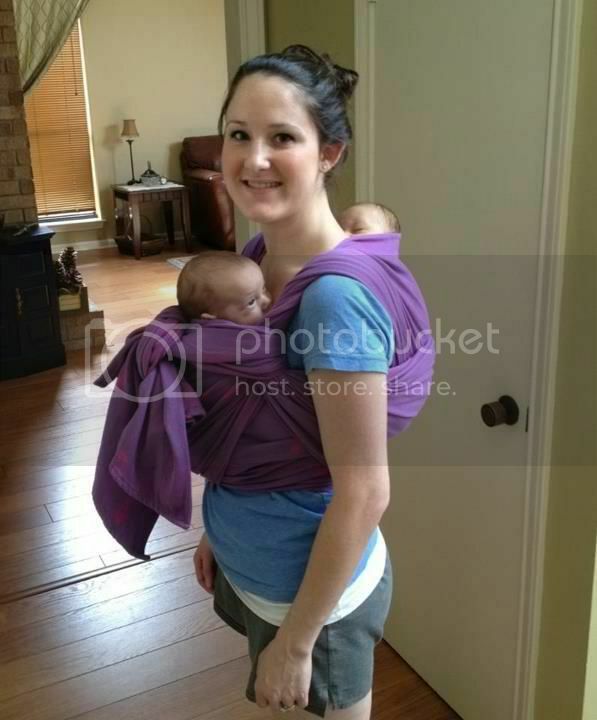 Because you have a baby under each arm, this carry is not going to help you to get housework done, but it does work great for going out together. Demonstrated by Payal of TwinMommy101 and her girls. 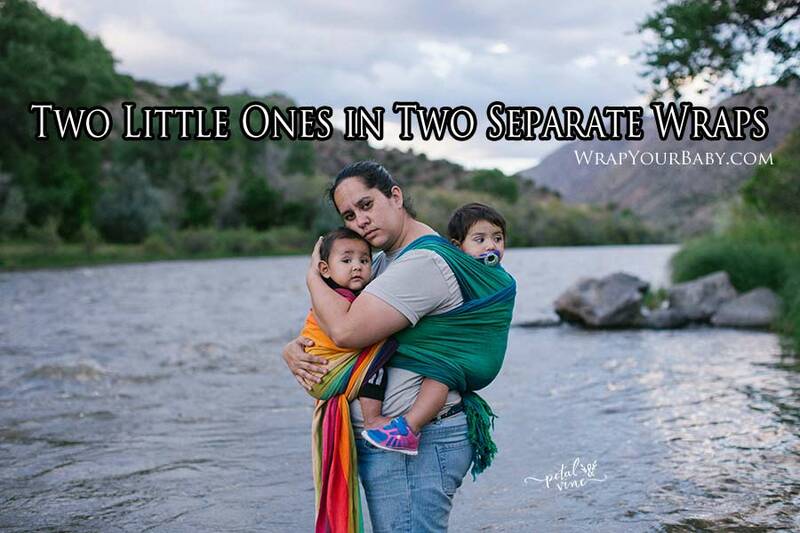 Often, wearing two is most convenient in two separate wraps because this way you can take one baby down without disturbing the other so you can switch from wrapping one to wrapping two seamlessly throughout your day as your needs (and theirs) change. One great combination for using two wraps is to tie on a Front Cross Carry (a poppable carry so you can take the little one out if he or she needs to potty or be changed, then pop baby back in without retying) and then put your toddler in a rucksack carry on your back. The baby can be inserted into the Front Cross Carry after you are done wrapping toddler so you don’t end up bending over with baby on the front. Which wrap do you recommend for twins? I’d recommend a thinner woven wrap for twins, so you don’t get too bulky and so it’s easier to tighten perfectly around each baby. EllaRoo, Wrapsody Breeze, Ellevill or Lenny Lamb are all great options.